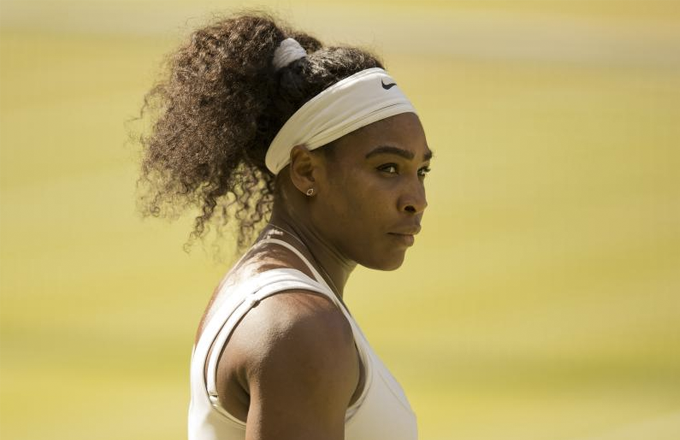 Arguing whether Serena Williams is the greatest women’s tennis player of all time has grown stale. At this point—21 Grand Slam titles and three decades of dominance in—if you aren’t willing to coronate Serena, even as a slew of veritable tennis gods are, there is likely little she can do to sway your opinion. But that’s fine. 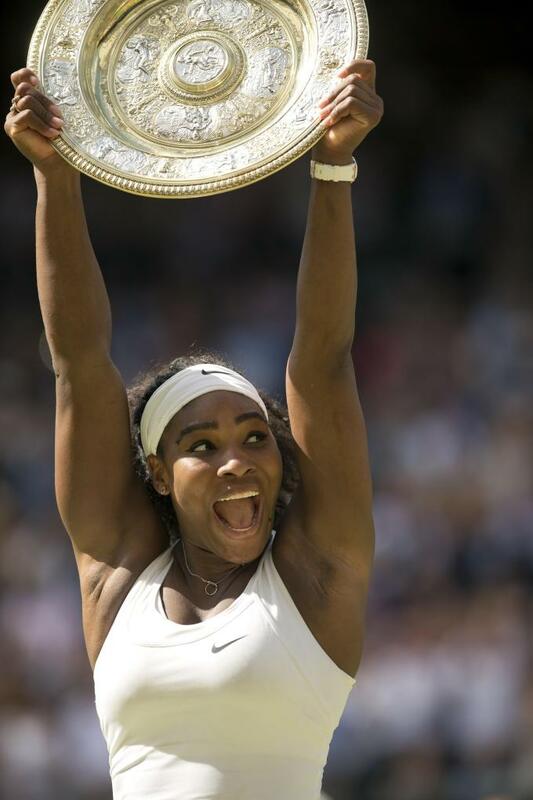 Because now, after completing her second Serena Slam at 33 (ancient, in tennis years) and showing no signs of relinquishing her dominion over women’s tennis, there’s a more irresistible point to promulgate: That Serena Williams is the greatest athlete of our generation. The most superb sportsperson we’ve seen since Michael Jordan. No-no. That wasn’t invitation for dispute—be quiet; I’m doing the toast. Other names will no doubt be tossed into the conversation: the Tigers, Bradys, and Kobes. Yet when assessing the tenants of true sports immortality—accolades, longevity, cultural impact, X-factor contributions—you realize none compare to Serena across the board. Serena Williams is the greatest athlete of our generation. The most superb sportsperson we’ve seen since Michael Jordan. But before stating her case as the greatest athlete sans sport let’s briefly address those still clinging onto the notion that she’s not even the greatest tennis player. They’re easy to spot, often pointing to Serena&apos;s grand slam total being behind Margaret Court (24) and Steffi Graf (22). What those detractors often ignore however is the fact that Court, while great in her own right, played before the modern “open tennis era,” and won 11 of her 24 grand slam titles at Australian Open tournaments unattended by a majority of the top players in the world. They also disregard how Graf herself made a considerable trophy haul after her biggest rival, Monica Seles, was stabbed at the height of her career by a mentally ill Graf-obsessed fan. This is, of course, in no way Graf’s fault, but let’s call a spade a spade. During the three years prior to the stabbing, Seles won 8 of 12 majors. Graf? Two. Seles would go on to miss two years and return a shell of her former self. Graf, in turn, would win 10 of the next 15 majors. Semantics aside, Serena is the most gifted woman to pick up a tennis racket. Semantics considered, she’s the greatest athlete we’ve witnessed in the last twenty years. Who else? What other athlete has been more consistently dominant, magnetic, principled, or badass? Tiger’s supremacy was prolific, but he’s since crumbled beneath the weight of adversity, unable to reclaim his top form (or a championship) since his personal life became chaotically public. Kobe is an indomitable champion, but will most likely end his career without having sniffed a championship in half a decade. Mayweather will likely retire undefeated, yet stands as one of the more despicable figures in sport, a spectacle more known for a juvenile life outside the ring than his anodyne presence within it. Serena exists as hyperbole actualized. Serena exists as hyperbole actualized. She, and her sister Venus, literally made women&apos;s tennis primetime TV (what up, Deion). There isn’t an athlete on the planet of which winning is more readily expected. The footnotes of her success—the sheer mercilessness of her dominance—are nearly insulting. Serena has played 269 matches in the last five years. She has won 249 of them. She is currently on her 124th consecutive week as the No. 1 tennis player in the world (247th overall) and has amassed nearly $70 million in earnings (excluding endorsements). The common quip is that every match she plays rests solely on her racket. She’s off? Maybe if you have the match of your life you can beat her. She’s on? You don’t stand a chance. This is not how professional sports are supposed to work, yet, this is exactly how immortality does in fact operate. Her serve is Thor’s hammer, the most devastating stroke in the history of the game. A shot as legendary and impossible as Kareem’s skyhook or AI’s crossover. The lazy pretense has been to say Serena has existed in an era devoid of competition, the truth is to acknowledge she has had no competition over at least two distinct eras. Her rivals have come, gone, retired, procreated, un-retired, became coaches, re-retired—all while Serena continued to collect hardware. Longevity? The Backstreet Boys and Britney Spears ruled music when she won her first tennis tournament. Garbiñe Muguruza, her opponent from the Wimbledon final, was six. Further still, amidst the never-ending accolades on court, it is Serena’s ability to overcome adversity off the court that even further separates her from her contemporaries. It’s a history of grit and perseverance in the face of hardship and oppression that work to transcend her from A Sports Figure to The Sports Figure. Moreso than any of the previously mentioned names, Serena stands with a largely unblemished personal record. Save an on court tirade here or there, which would never be mentioned as a standout pejorative if she were a man, Serena has largely exemplified the Golden Girl status we yearn for from our biggest stars, yet with little actual acknowledgement—a direct manifestation of the racist sexism she’s had to deal with her entire career. There are no scandals. No Deflategates, no private indiscretions; just winning. She is beautiful yet routinely mocked, intelligent but often marginalized, confident yet frequently diminished. The reality is that Serena’s story, of learning tennis alongside her sister from a father whose sole goal was to acquire generational wealth for his family, is a classic iteration of the American Dream. The Williams Sisters&apos; ascension from the cracked courts of the Compton ghetto to the lawns of Wimbledon and beyond, in spite of the integral injustices operating to conserve the Country Club Correctness of American tennis, stands as the most remarkable narrative in sports today. Never in a million years was a ward of America’s most treacherous terrain ever supposed to Crip-walk on the All England Club (after winning an Olympic gold medal, no less). Yet there she stood—and here she stands—as she has for the past twenty years: unapologetic, unrelenting, and unrivaled. Completely unable to be stopped by anyone, anywhere. Serena Jemeka Williams. There is, simply, no other that can compare. Aaron Randle is a Howard U bred writer living in Kansas City, Mo. He&apos;s on Twitter at @aaronronel. 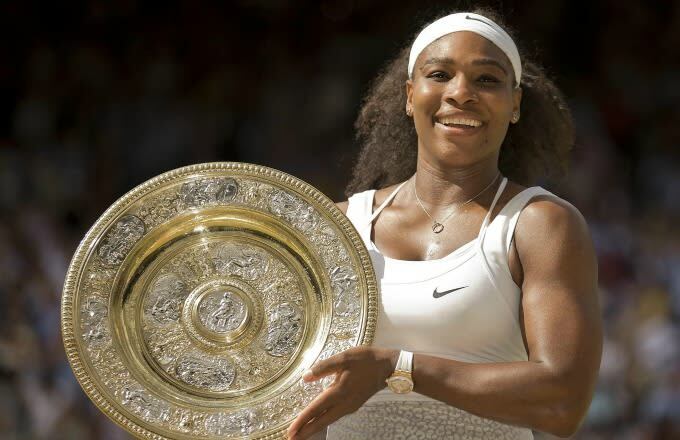 What the World Looked Like the Last Time Serena Williams Won a "Serena Slam"